If you suffer from carpal tunnel syndrome, before resorting to drugs or surgery, try MANU® hand brace. You can order your hand brace with a click, have it in a few days and get relief immediately. The solution to the problem is MANU®, the soft hand brace to use only at night. 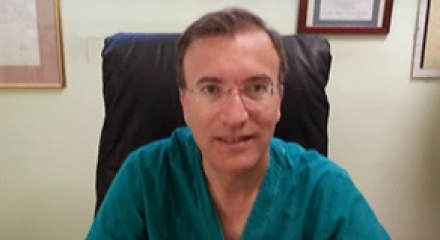 We are committed to provide you competences acquired in years of experience in the orthopedic and neurological field. It reduces or even eliminates the symptoms of carpal tunnel syndrome and improves the functionality of the hand. By enlarging the carpal tunnel, MANU® decompresses the median nerve and bring benefits immediately. Single hand brace for the treament of carpal tunnel syndrome in the right hand (VAT included). Single hand brace for the treatment of carpal tunnel syndrome in the left hand (VAT included). Couple of hand braces of the same size for the treatment of carpal tunnel syndrome in both hands (VAT included). What is the carpal tunnel syndrome? It represents a variety of disorders due to the compression of the median nerve in its passage in carpal tunnel. Carpal tunnel syndrome affects mainly (but not only) women, especially the manual workers or the perimenopausal ones. Mainly sensitivity disorders that affect the first three-­four fingers and that are present especially at night and/or when you wake up. Is surgery the only cure? No. Forms of carpal tunnel syndrome of mild or medium severity can be treated through the use of the innovative MANU® hand brace. Why choose MANU hand brace? MANU® is the innovative soft hand brace designed for the conservative treatment of carpal tunnel syndrome. MANU®hand brace, worn only during the night, acts immediately* and does not prevent normal daily activities. We send our medical devices all over the world by express courier so thah the delivery takes place in a short time. Soft hand brace MANU® can cure* mild and medium forms of carpal tunnel syndrome, without resorting to drugs or surgery. The efficacy and tolerability of MANU® brace have been demonstrated in several scientific studies published on the international medical literature. 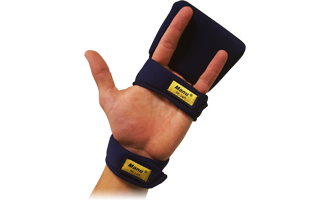 We produce MANU®, the hand brace against carpal tunnel syndrome, for both hands and in four sizes in order to satisfy the needs of our customers. MANU, a choice for a better life! The effectiveness of MANU® persists even after six months of discontinuing treatment. A night treatment of 3 months with the brace induces symptomatic and functional benefits in patients with carpal tunnel syndrome that lasts months after its use. 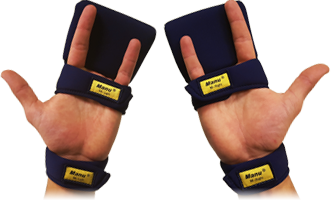 The hand brace MANU® is well tolerated in patients and its night use is highly effective in improving the disturbances from carpal tunnel syndrome. This brace is highly effective in relieving the symptoms and hand functional loss due to carpal tunnel syndrome. 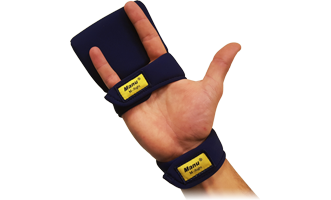 The soft hand brace MANU® increases the space available to the median nerve inside the carpal tunnel. MANU®, the soft hand brace against the carpal tunnel syndrome, is a proven effective and tolerable conservative treatment. The soft hand brace MANU® has been reported, as a conservative treatment of carpal tunnel syndrome, on the official website of AAFP (American Academy of Family Physician). The soft hand brace MANU® has been approved for efficacy and safety by the USA Food and Drugs Administration (FDA). MANU® hand brace, created and produced in Italy, has the US and EU patent. Inventor of MANU®, the innovative soft hand brace for the treatment of carpal tunnel syndrome. Our call centers are open from Monday to Friday, from 9a.m. to 1p.m. and from 3p.m. to 6p.m. Contact AGF Orthopaedic Devices by phone or email and you'll have the answers to your questions. * Like every clinical treatment, result is not guaranteed in 100% of cases and the response to treatment may vary from patient to patient.